The U16 Black Team played their first Leinster League game at home against Tullow on Sunday. From the midday K.O., the visitors Tullow were the hungrier team. Their forwards pressed hard, closing down all available space. 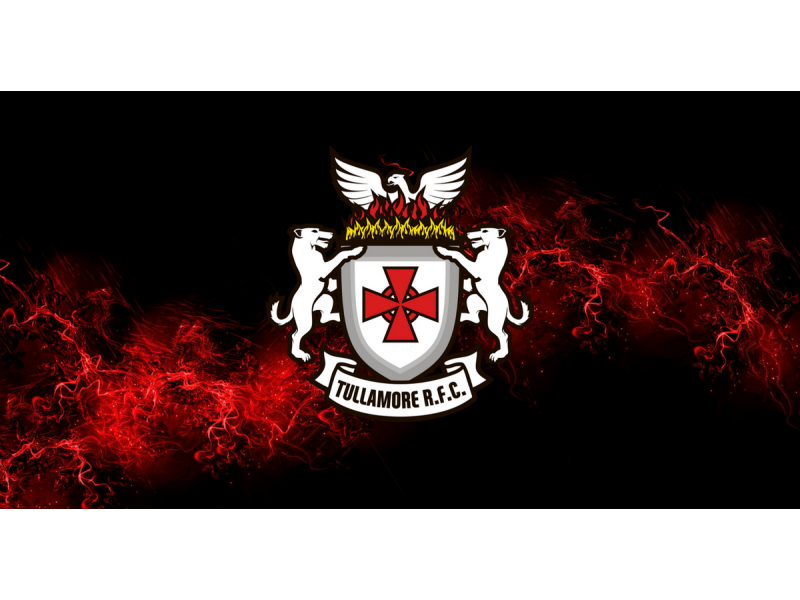 Tullamore could not get on the front foot from the outset and found themselves trailing by 14 points after two converted Tullow tries at the end of the first quarter. Soon after, Tullamore steadied the ship slightly as a penalty found them with a line out deep in the Tullow half. However a poor line out allowed Tullow to end this brief Tullamore excursion into their half. With Tullow back on the front foot, a James Nolan interception found him well placed with nothing between him and the Tullow line and he touched the ball down between the posts, offering Tullamore a life line. The Tullamore supporters hoped that this would ignite some positive Tullamore play but slow line speed when defending a Tullow penalty left it far too easy for Tullow to cross over for their third try just before half team leaving the H.T. 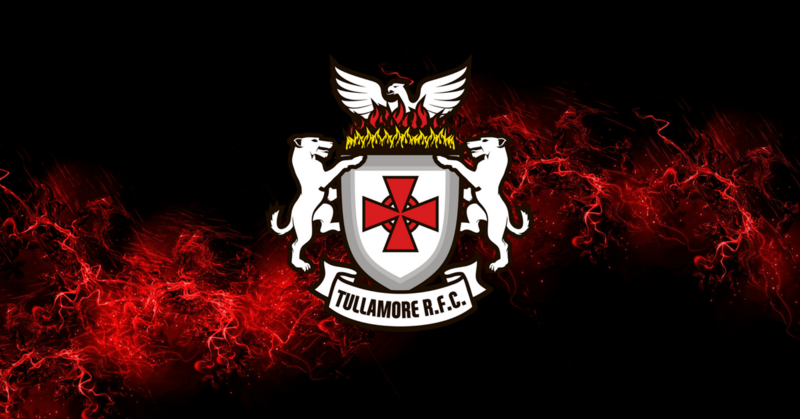 score 21 – 7 to Tullow. The second half started with Tullamore needing to get out of the blocks fast but once again it was Tullow who crossed for an all too easy break away try in the first two minutes of the second half. This seemed to be a wake – up call for Tullamore and a well won penalty in the middle of the field was moved forward 10 metres by referee Declan O’Reilly . This resulted in Eoin Hickey finding some room and with a dummy, crossed over for a Tullamore second try which was unconverted. Tullamore continued in this positive vain and a good break by Dylan McDermott allowed the Tullamore forwards to bring the ball towards the Tullow line. The Tullow No. 8 was binned for cynically slowing down the ball and a series of three penalties enabled Tullamore to camp on the Tullow line for a period. However, Tullamore could not finish it out and get over that line. A decision to go out wide proved costly, and a Tullow turn over left Tullamore with nothing at the end of a number of phases of play. Shortly after, Tullow got a fortunate break when an over thrown line out was collected by a more alert Tullow player and the resulting move ended in a try. Tullamore never got their hands on the ball from the kick off with Tullow bringing it straight back over the Tullamore line for another try. This phase of play typified Tullamore’s non commitment to first-up tackling. While the next score went Tullamore’s way with Mark Kelly bringing the ball over the Tullow whitewash, it proved futile and Tullow closed out the game the way they started with a break away converted try. Well done to Tullow who were deserved winners on this occasion, and while it is commiserations to Tullamore, we must remember that it is the first competitive game of the season and this team have proved themselves far more capable than that performance.